Wow almost a year since my last post...High time I started updating the blog again! 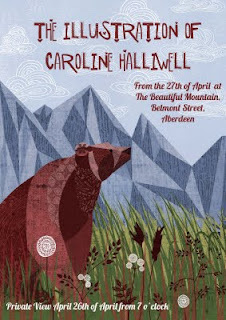 I have a little exhibition coming up in Aberdeen at the Beautiful Mountain which I have been working away towards. Realising just how much work goes into a solo exhibition! All are welcome to the opening on Tues the 26th of April, there will be fun frolics and mountains of sandwiches.